Yesterday I rang Brian and suggested that we go for a decent walk. The sun was shining and neither of us had been for a hunt for at least 5 days (I know this because I keep a diary - it covers for the memory loss). At our age if we don't exercise regularly we have a lot of trouble with constipation. And our legs forget how to work. The combined age of our legs is 274 years. So off we headed at 3pm for the Wairarapa to a popular DOC area that is regularly bombed with 1080, but with repellent. Everyone knows that repellent doesn't work, so of course there are no deer there. We arrived at the road end at 4.45pm and after helping each other out of the ute we went though our written lists to make sure we had everything (rifle, knife, incontinence pads etc ) and tottered off. Craigc said it would take us an hour to get to the hunting area but it actually took us 1.25 hrs which wasn't bad considering that each of us had to stop for a pee every 10 minutes. There wasn't a cloud in the sky but it was blowing like there was no tomorrow. I poured Brian a drink out of the thermos and the wind blew the milk out of the coffee before it even got into the cup. Because of the wind and the distinct lack of deer sign our hopes of seeing anything were not high. But being pig headed old bastards (Brian is insensitive as well as pig headed) we pushed on tottering from vantage point to vantage point and glassing (that means looking through the cataract induced haze in our binos). Mainly looking down low in the sheltered spots. At about 6.30pm I did see something "deer's bum" looking in a gap few hundred yards away in the bush but couldn't make it out properly so determined to look there again after a little nana nap. When I awoke 10 minutes later the white bum had materialised into 2 velvet stags. I figured to myself that someone must have liberated them in there since the last 1080 drop. I zeroed Brian onto where they were and we hatched a cunning plan through our vast experience which basically amounted to us blundering down through bush until we were opposite them and bowling them both. We would worry about getting them out of there later. We did the first part extremely well (the blundering) but the later bit not so well. We got to within 250 yards but because of the setting sun we couldn't see them through our 'scopes. Oh, how we missed our open sighted 303's. We could see them through our bino's though, and eventually they got sick of being where they were and they wandered off. So we trudged up to the main ridge again and continued south, which concerned me because it was the opposite direction to where the ute was parked. We were now 2 hours from it. As we rounded a corner and crested a little hill in the scrub, and trying to stay up right in the wind, Brian looked through his army surplus binos and exclaimed "those deer are back, I can see one". The good thing was that the sun had now gone behind the hill and we could see a bit better too. It only took 5 mins to get down to a shooting position and apply our first world war gunnery skills. "Range?" I snapped. "254 yards" Brian replied. Because I'm the eldest my next command was "right, I will shoot and you stand by to see if I can hit it". "Yes sir!" Brian replied, "I will watch it through the binos". "How much will I allow for the wind", I snapped. "twelve inches, sir" came the reply. So I wound my vx6 'scope up to 12 power and settled for the shot over my pack. 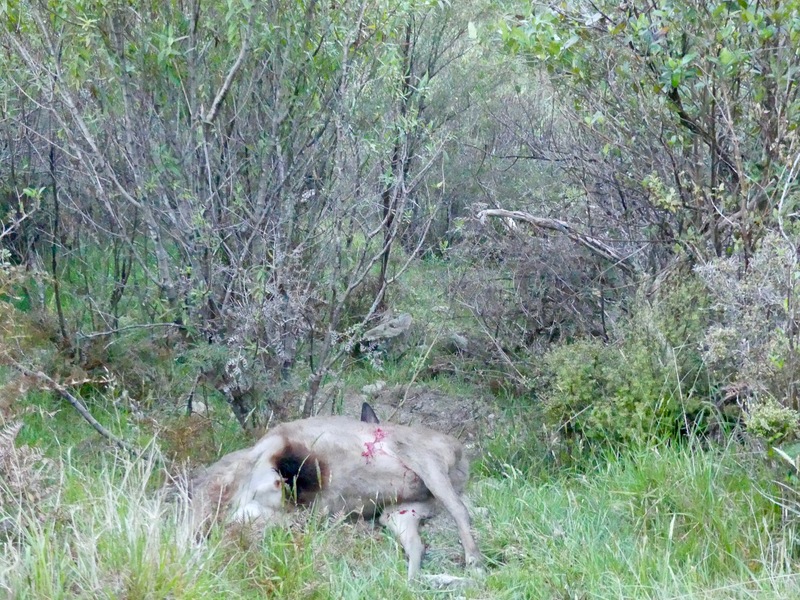 I could see now that the deer was not one of the 2 stags, but a yearling type animal. Good grief, 3 deer had been liberated. I informed Brian of this, said a little prayer, and squeezed the trigger like I had been taught at school cadets. I saw a flash of white belly at the shot which through experience told me it had arsed up. Brian confirmed the kill. He also saw what I saw, the Mother deer run off. Four liberated deer. Someone was sure making up for the 1080 deer repellent that doesn't work. But they would have to liberate another one to make up the numbers now we had killed one. Brian and I now gave each other a blank stare of fear and trepidation. We knew that we now had to go and retrieve the thing. And that would end us up 3 hours away from the ute. Bugger. Anyway, we did our planning - down the ridge to the 2 broadleaf trees, than angle down to the dead tree, then drop down the face. Which we did. And after a bit of a zig zag Brian found the deer (we didn't have a dog with us because of the 1080 that kills all of the deer). We did a quick bone out job on the yearling stag and stuffed it into our sugar bag packs and struggled off up through the bush. 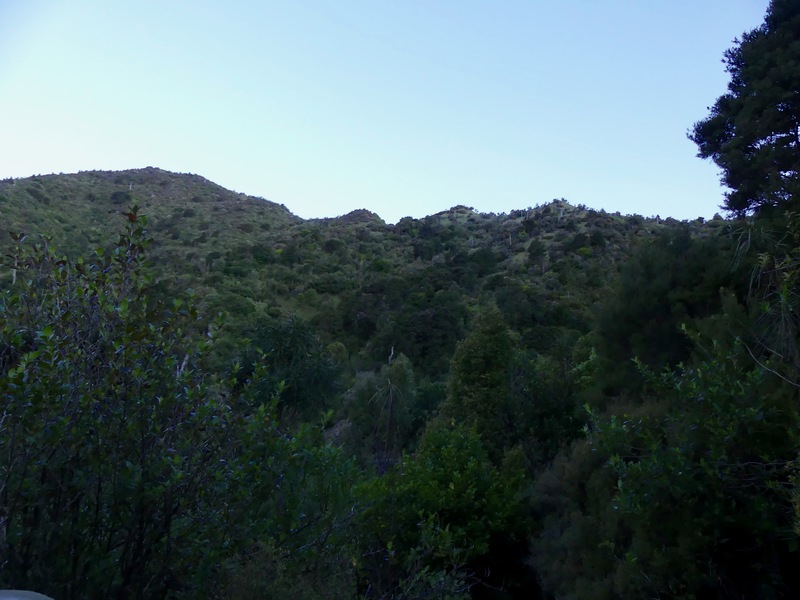 We had our carbide lamps out by the time we got onto the main ridge, and it took us 2 hours from there back to the ute including pee stops and me arsing up down a bank and being stranded on my back like an unfit 69 year old. Which I am. 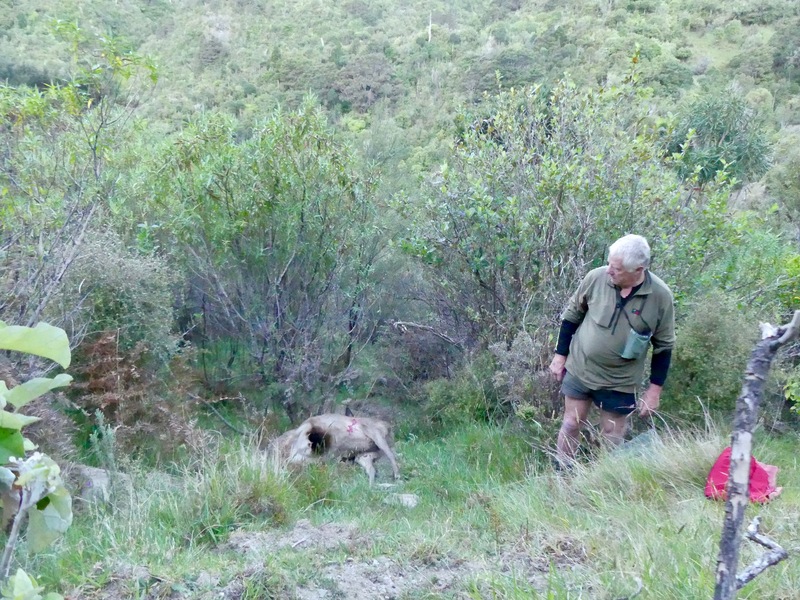 Our thanks goes out to the person liberating the deer into there post 1080, and who ever it is who re-introduced the 6 Kereru and 3 Moreporks I saw and heard. Nice one. I dropped Brian off at his truck at 12.30am and I was home by 1am. I had to be up at 7am for a breakfast meeting. Thank heavens for afternoon naps and "no cramp" pills. Last edited by Tahr; 10-11-2017 at 05:07 PM. Wildman, outdoorlad, veitnamcam and 40 others like this. Great work and an awesome wright up. You two had a good day out even though the dreaded 1080 has been there. Great write up and well done dragging the meat out for all those hours, both of you should be proud of your achievements as I bet there are a lot of younger fella's out there that wouldn't (couldn't) hack it. Tahr and 7mm Rem Mag like this. Great work chaps, and have you sorted out our Weatherby yet. 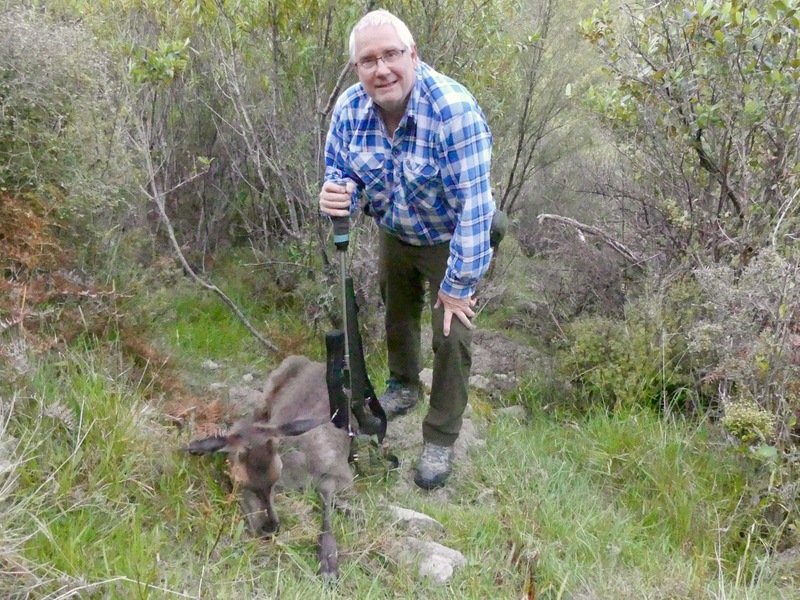 Bloody old farts - their ancient cunning is more deadly to deer than 1080. Nice I suppose that they didn't do their usual and cull the lot, must be getting soft in their dotages. Literary prowess woven with a little light hearted sarcasm into a good story. Fantastic! Tahr, Beaker, Gibo and 3 others like this. 1080 is terrible, I bet you didn't see any Kea. Shootm, Tahr and Huk like this. Birthday Boy............. OLD FART !! Brain Fart! Online Hunting Diary. By Malhunting in forum Questions, Comments, Suggestions, Testing.